If you are a Reliance Jio user, you might have noticed that your Prime subscription is about to expire. Until now, the company had not revealed what users need to do to renew this to continue enjoying the benefits of Jio Prime. Now, the company has revealed that existing users will be able to subscribe to Jio Prime for free. Reliance Jio has today announced that all existing Jio Prime users will be able to renew their membership for another year without any cost for a limited period of time. With this, the membership will be renewed until 31 March, 2019. Click on Express Your Interest and get free Jio Prime membership renewal for one year. Jio Prime comes with the following benefits. First of all, it offer unlimited 4G data with a FUP of 1GB per day. The unlimited data will be offered at 128 Kbps after crossing 1GB usage. Moreover, there will be unlimited Voice Calling to any network anywhere in India will be totally free and there will be no roaming charges. Additionally, Jio users will have unlimited access to Jio Digital Life Services and access Jio Digital Life services as well. They can avail services like Jio TV, Jio Cinema, Jio Music etc for free. These services are worth over Rs. 10,000. The Jio Prime subscribers are required to opt for one of the Jio postpaid plans starting from Rs. 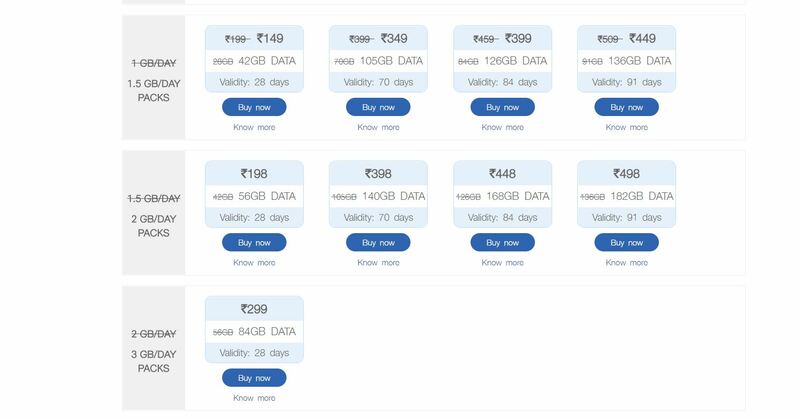 309 for enrolment to Jio Prime membership. The existing prepaid subscribers will be moved to Prepaid Base Plan of Rs. 149 on opting to enroll for Prime membership. The subscribers are free to opt for any other prepaid or postpaid plan of their choice as well.